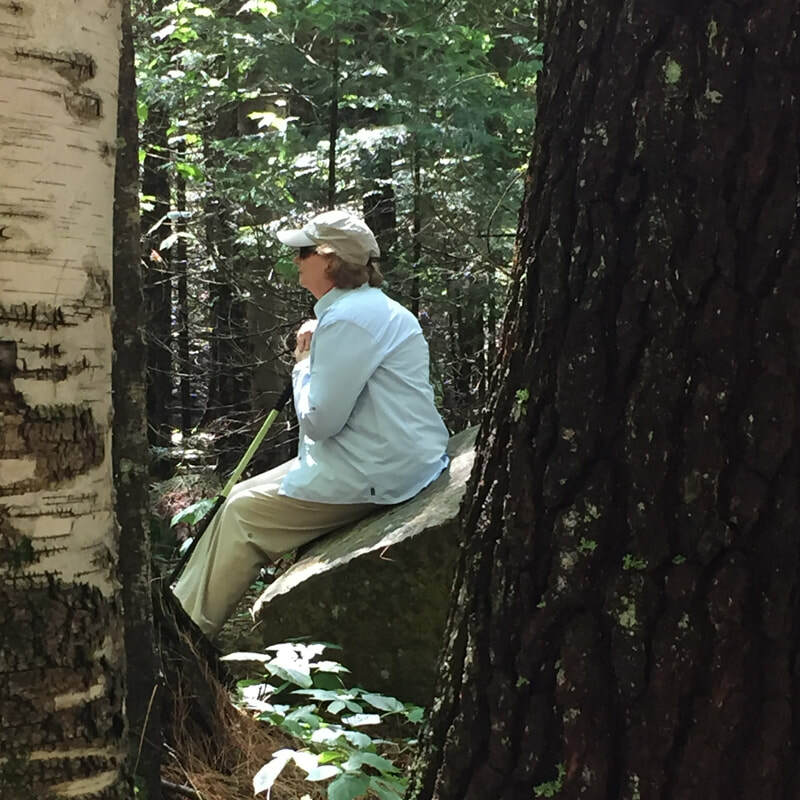 Forest Bathing is a sensory immersion in nature. Through a series of sensory activities, you are invited to open yourself to all of the sights, sounds, smells, textures and tastes of life in the Adirondack forest. Forest Bathing will quiet your mind and allow you to recover from the stress of your day to day life. 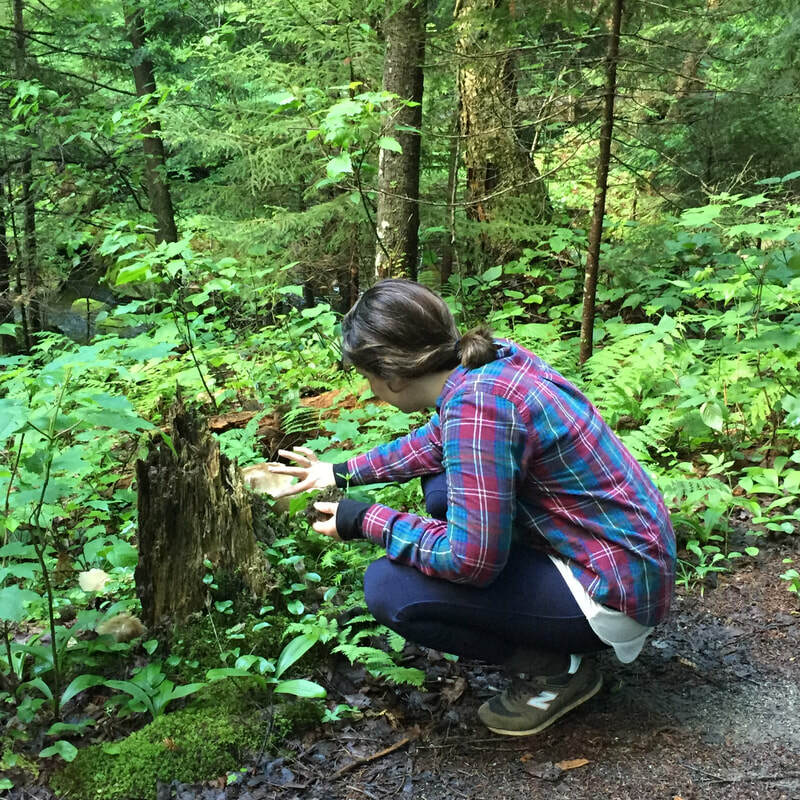 Read more about the health benefits of sensory immersions in nature here. No goals, objectives or need to accomplish anything. More than two decades of research studies describe a wide range of health benefits from the practice of Forest Bathing including lowered blood pressure, reduced stress, a stronger immune system, reduced anxiety and greater attention and concentration. "I assumed I had "been there, done that". and this was a great NEW experience." 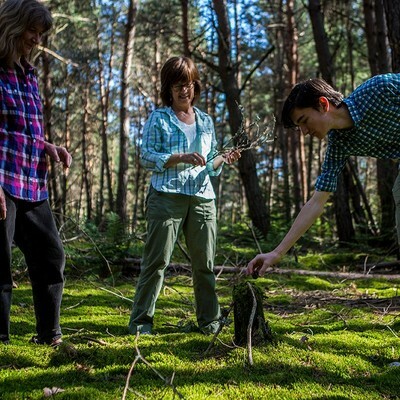 Whether you are in the area for a family gathering, a corporate meeting or travelling with a group of friends, discover how Forest Bathing can help you build deeper relationships with each other as well as with nature. Our certified & experienced guides are available every day of the week except Saturday, from June 30 to October 27, 2018 to guide your group. Call or email us to book a 2 to 4 hour private guided trip. Rates are based on the number of participants starting at $200 for 1-4 people. Additional participant fees start at $40 per adult and $30 per child. 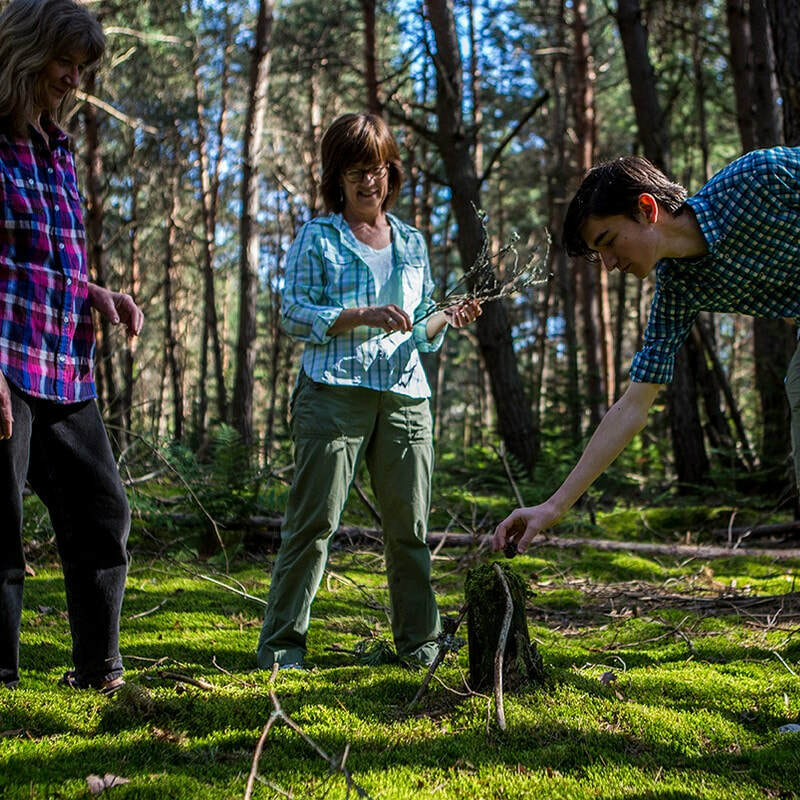 Forest Bathing is a playful and relaxing family activity suitable for children 6-17 years for private groups. Private groups must be booked a minimum of 48 hours in advance. To ensure availability on the day of your choice we recommend booking early. If you are breathing, you are in relationships with trees. If you are eating, you are in relationships with soils, plants, animals, the sun and the seasonal procession of the weather. We then realize that none of us exists independently. ​We are profoundly interdependent with all things.